From foster kid to awkward teen, Ren Nagel has always wanted to be "normal." But, that's probably never going to happen. Ren is just a little more than human––she's an Implement sent to Earth to save the world. She knows what she's supposed to be doing, but for now, Ren is ignoring all the signs. Bound by promises made a very long time ago, and with the help of her friends––some human, some not––Ren reluctantly sets out on an adventure that, if it doesn't kill her, will change her life––and everyone else's. Award Winning Author of REN. 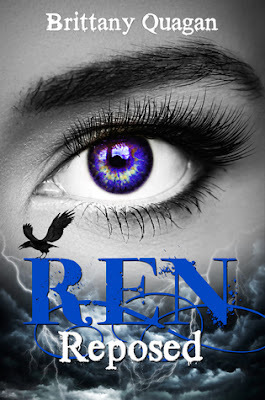 Book 1 - REN: Awakened is available NOW on Amazon and Barnes & Noble! Life Coach, Intuitive Healer, Counselor, and Reiki Master. 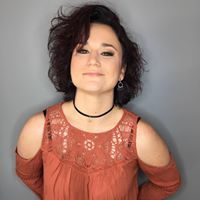 I am Brittany Quagan, owner of Journeys: Holistic Wellness & Anxiety Relief Center. I am a clinical therapist, intuitive healer and award winning author. I'm also a therapist and research fellow at Yale University in New Haven, CT. While my primary client base are those who suffer from anxiety/depression and those who are empaths, my work is to help anyone who needs it to overcome whatever obstacles are in their life with empowerment and resiliency. My journey began in working with these individuals on a holistic and spiritual level, which then evolved into me obtaining my Master degree in Clinical Counseling. I offer clinical counseling, life coaching, mind/body wellness, Reiki healing, and intuitive guidance. I also teach a variety of development & healing classes, as well as Reiki certification and our new Intuitive Healer certification. My services are offered internationally. In addition to the holistic and spiritual modalities, I am also a formally trained practicing clinical counselor. These paths have merged, providing me the opportunity to co-lead a research study at Yale; in which we are exploring practices and habits of clinical voice hearers (people with psychotic disorders such as schizophrenia) versus non-clinical voice hearers (psychic/mediums). My goal in assisting in this study is to integrate both worlds to develop more effective treatment in mental illness. I started this journey to help you on yours, as so many have helped me on mine. Click Here for Sessions with Brittany!